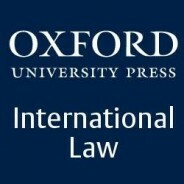 Oxford University Press is a leading publisher in international law, including the Max Planck Encyclopedia of Public International Law, latest titles from thought leaders in the field, and a wide range of law journals and online products. We publish original works across key areas of study, from humanitarian to international economic to environmental law, developing outstanding resources to support students, scholars, and practitioners worldwide. For the latest news, commentary, and insights follow the International Law team on Twitter @OUPIntLaw. International law has faced profound challenges in 2014 and the coming year promises further complex changes. For better or worse, it’s an exciting time to be working in international law at Oxford University Press. Before 2014 comes to a close, we thought we’d take a moment to reflect on the highlights of another year gone by. To start off the year, we asked experts to share their most important international law moment or development from 2013 with us. We published a new comprehensive study into the development, proliferation, and work of international adjudicative bodies: The Oxford Handbook of International Adjudication edited by Cesare Romano, Karen Alter, and Yuval Shany. The editors of the London Review of International Law reflected on the language of ‘savagery’ and ‘barbarism’ in international law debates. The London Review of International Law will now remain free online through the end of February, 2015. Make sure to read the first three issues before a subscription is required for access. As the Russian ‘spring’ of 2014 gained momentum, our law editors pulled together a debate map on the potential use of force in international law focused on the situation in Crimea. We also heard expert analysis from Sascha-Dominik Bachmann on NATO’s response to Russia’s policy of territorial annexation. Professor Stavros Brekoulakis won the first ever Rusty Park Prize of the Journal of International Dispute Settlement for his article, “Systemic Bias and the Institution of International Arbitration : A New Approach to Arbitral Decision-Making.” His article is free online. The International Covenant on Economic, Social and Cultural Rights: Commentary, Cases, and Materials edited by Ben Saul, David Kinley, and Jaqueline Mowbray published in March, bringing together all essential documents, materials, and case law relating to the International Covenant on Economic, Social and Cultural Rights (ICESCR). In early April, we were finalizing preparations for ASIL-ILA 2014, as were many of our authors and readers. By combining the American Society of International Law and the International Law Association, the schedule was full of interesting discussions and tough choices. Throughout the conference we connected with authors, editors, and contributors to Oxford University Press publications. We worked with the authors of The Locus Effect: Why the End of Poverty Requires the end of Violence, Gary A. Haugen and Victor Boutros, to develop an infographic and learn how solutions like media coverage and business intervention have begun to positively change countries like the Congo, Cambodia, Peru, and Brazil. On 3 May, three years after a US Navy SEAL team killed Osama bin Laden, David Jenkins, discussed justice, revenge, and the law. Jenkins is one of the co-editors of The Long Decade: How 9/11 Changed the Law, which published in April 2014. EJIL: Live!, the official podcast of the European Journal of International Law (EJIL), launched. Podcasts are released in both video and audio formats to coincide with the publication of each issue of EJIL. View all episodes. John Yoo’s post on the OUPblog, Ukraine and the fall of the UN system, provided us with a timely analysis of Russia’s annexation of the Crimean peninsula. His book Point of Attack: Preventive War, International Law, and Global Welfare published in April 2014. On World Oceans Day, 8 June, we created a quiz on Law of the Sea. We also developed a reading list for World Refugee Day from Oxford Scholarly Authorities on International Law. In June, we celebrated the World Cup in Brazil with a World Cup Challenge from Oxford Public International Law (OPIL). The questions in the challenge all tie to international law, and the answer to each question is the name of a country (or two countries) who competed in the 2013 World Cup Games. Try to work out the answers using your existing knowledge and deductive logic, and if you get stuck, do a bit of research at Oxford Public International Law to find the rest. The World Cup highlighted the global issue of exploitation of low and unskilled temporary migrant workers, particularly the rights of migrant workers in Qatar in advance of the 2022 World Cup and the abuses of those rights. In July, Malaysian Airlines Flight MH17 was shot down. Kevin Jon Heller answered the question, “Was the downing of flight MH17 a war crime?” in Opinio Juris. Sascha Bachman-Cohen discussed Russia’s potential new role as state sponsor of terrorism on the blog. On 24 July we added 20 new titles to Oxford Scholarly Authorities on International Law. To mark the centenary of the start of the Great War we compiled a brief reading list looking at the First World War and the development of international law. In advance of September’s 10th anniversary European Society of International Law meeting, we asked our experts what they thought the future of international law might look like. On 23 August we put together an infographic in honour of the UN’s International Day for the Remembrance of the Slave Trade and its Abolition. On 30 August we put together a content map of international law articles in recognition of the International Day of the Victims of Enforced Disappearances. Click the pins below to be taken to the full text articles. August saw the publication of the third edition of one of our best-regarded works on international criminal law — Principles of International Criminal Law by Gerhard Werle and Florian Jeßberge — as well as our latest addition to the Oxford Commentaries on International Law series — The Chemical Weapons Convention: A Commentary edited by Walter Krutzsch, Eric Myjer, and Ralf Trapp. Finally, in August the OUPblog had a revamp! Explore our blog pieces in law. In September, Scotland voted in a referendum. Anthony Carty and Mairianna Clyde addressed what might it have meant for Scottish statehood had Scotland voted for independence? And Stephen Tierney addressed the question, what would an independent Scotland look like? In celebration of ESIL’s 10th anniversary conference in September, we put together a quiz featuring the eleven cities that have had the honour of hosting an ESIL conference or research symposium since the first in 2004. Each place is the answer to one of these questions – see if you can match the international law event to the right city. We are the proud publisher of not one but two ESIL Prize Winners! Congratulations to Sandesh Sivakumaran, author of The Law of Non-International Armed Conflict, and Ingo Venzke, author of How Interpretation Makes International Law, on their huge achievement. 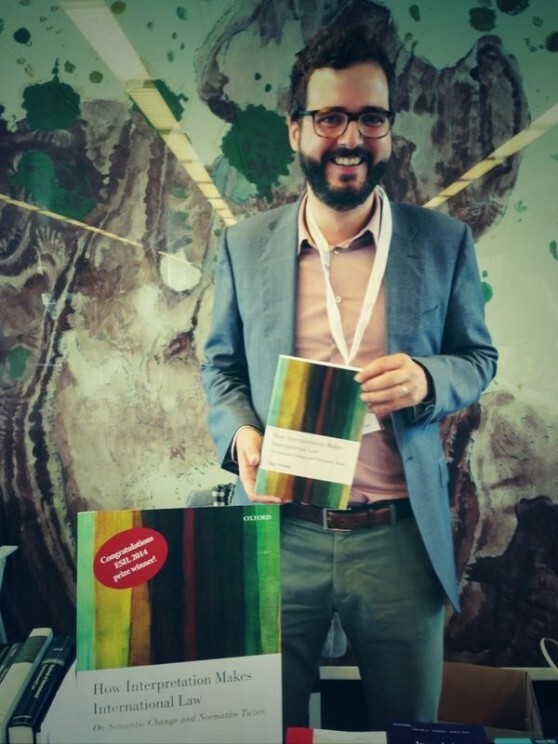 September saw the release of Human Rights: Between Idealism and Realism by Christian Tomuschat, an unique and fully updated study on a fundamental topic of international law. Amal Alamuddin, Barrister at Doughty Street Chambers, co-editor of The Special Tribunal for Lebanon: Law and Practice, and contributor to Principles of Evidence in International Criminal Justice, married the actor George Clooney. Congratulations, Amal! On 21 September we celebrated Peace Day. We put together an interactive map showing a selection of significant peace treaties that were signed from 1648 to 1919. All of the treaties mapped here include citations to their respective entries in the Consolidated Treaty Series, edited and annotated by Clive Parry (1917-1982). 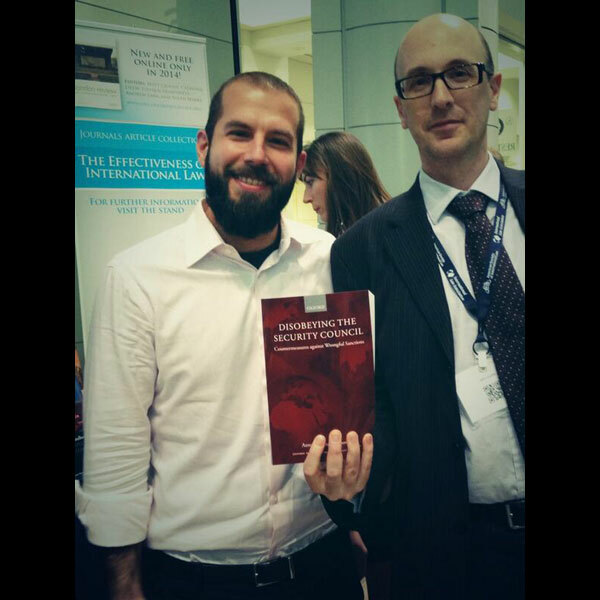 On 24 September Oxford Historical Treaties launched on Oxford Public International Law. Oxford Historical Treaties is a comprehensive online resource of nearly 16,000 global treaties concluded between 1648 and 1919 (between the Peace of Westphalia and the establishment of the League of Nations). On 10 October, the Nobel Peace Prize was awarded to Malala Yousafzai and Kailash Satyarthi. In recognition of their tremendous work, we made a selection of articles on children’s rights free to read online for the month of October. Michael Glennon, the author of National Security and Double Government, analyzed the continuity in US national security policy during the US attacks on ISIS elements in Syria in mid-October with “From Imperial Presidency to Double Government” on the OUPblog. 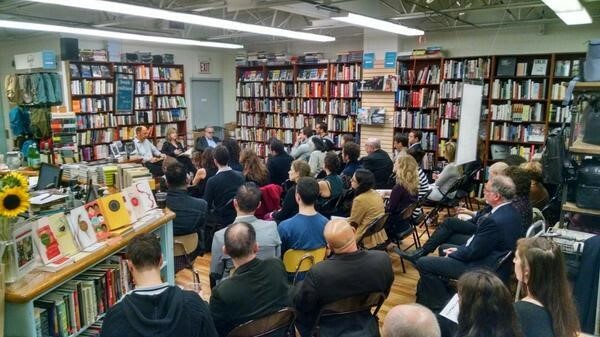 On 16 October, Ruti Teitel gave a talk on her new book Globalizing Transitional Justice, which published in May 2014, at Book Culture in New York. The event included a panel discussion with Luis Moreno-Ocampo, the first Prosecutor (June 2003-June 2012) of the new and permanent International Criminal Court, and Jack Snyder, the Robert and Renee Belfer Professor of International Relations in the Department of Political Science and the Saltzman Institute of War and Peace Studies at Columbia. In October, we were preparing for the 2014 International Law Weekend Annual Meeting at Fordham Law School, in New York City (24-25 October 2014). We were also busy preparing for the FDI Moot, which gathers academics and practitioners from around the world to discuss developments and gain a greater understanding of growing international investment, the creation of international investment treaties, domestic legislation, and international investment contracts. Read more here. In recognition of UN Day this year on 26 October, we created a free article collection featuring content from international law journals, the Max Planck Encyclopedia of Public International Law, and The Charter of the United Nations. In October we published the first in a major three-volume manual bringing together the law of the sea, shipping law, maritime environmental law, and maritime security law. 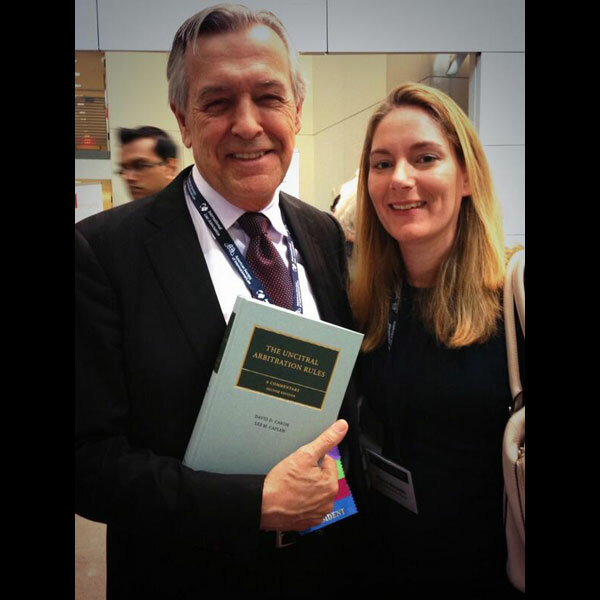 Prepared in collaboration with the International Maritime Law Institute, the International Maritime Organization’s research and training institute, The IMLI Manual on International Maritime Law: Volume I: The Law of the Sea is edited by Malgosia Fitzmaurice, and Norman Martinez with David Attard as the General Editor. In November we published our annual report on armed conflict around the world. The War Report: Armed Conflict in 2013, edited by Stuart Casey-Maslen, provides detailed information on every armed conflict which took place during 2013, offering an unprecedented overview of the nature, range, and impact of these conflicts and the legal issues they created. In mid-November we published the second edition of Environmental Diplomacy: Negotiating More Effective Global Agreements, by Lawrence E. Susskind and Saleem H. Ali, which discusses the geopolitics of negotiating international environmental agreements. The new edition provides an additional perspective from the Global South and a broader analysis of the role of science in environmental treaty-making. Judicial Review of National Security expanded our Terrorism and Global Justice Series in late November. Author David Scharia gave a book talk at NYU School of Law’s Center on Law and Security soon after the book published. The talk began with an introduction from President (ret.) Dorit Beinisch of the Supreme Court of Israel. In celebration of Human Rights Day 2014, we asked some key thinkers in human rights law to share stories about their experiences of working in this field, and the ways in which they determined their specific focuses. These reflective pieces were collated into an article for the OUPblog. Additionally, we made a collection of over thirty articles from law and human rights journals free for six months, and promoted a number of books titles alongside the journal collection, on a central page. Finally, 50 landmark human rights cases were mapped across the globe. Headline image credit: Gavel. CC0 via Pixabay.